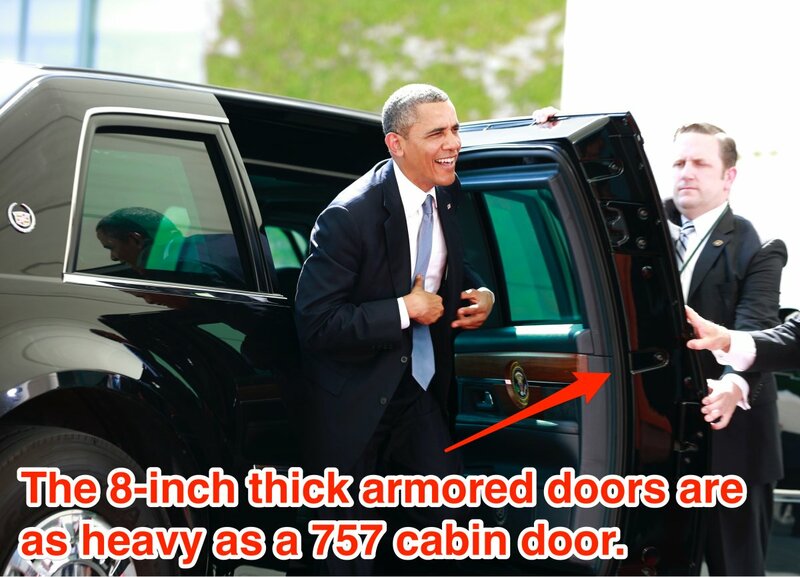 We know the President travels in style when it comes to Air Force One. His plane contains it’s own pharmacy, storage for about 2,000 meals, along with security features that are classified. Did you know that Air Force One can be refueled mid-flight? What a great feature, especially during a security crisis. 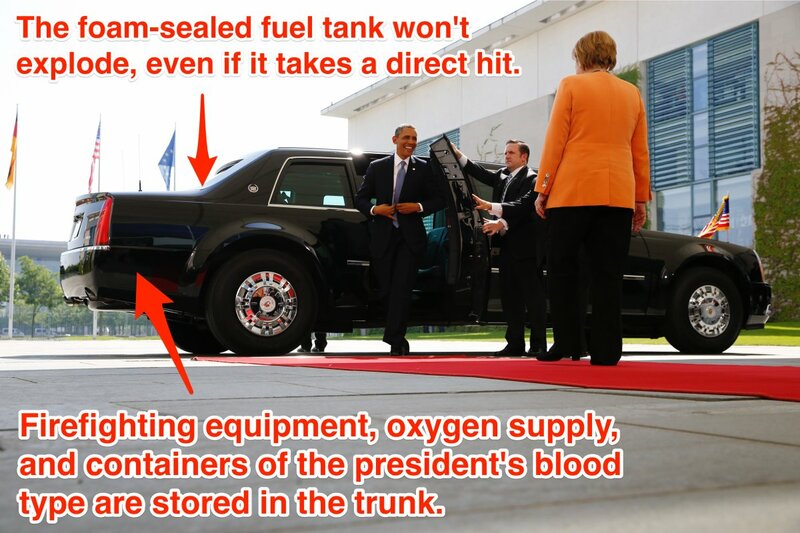 But have you ever seen the car that the President travels in? 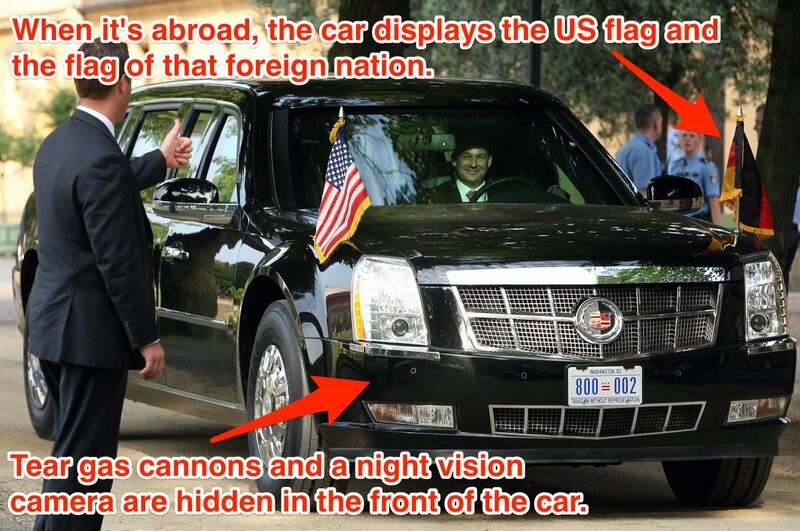 The car the president travels in is known as Cadillac One. 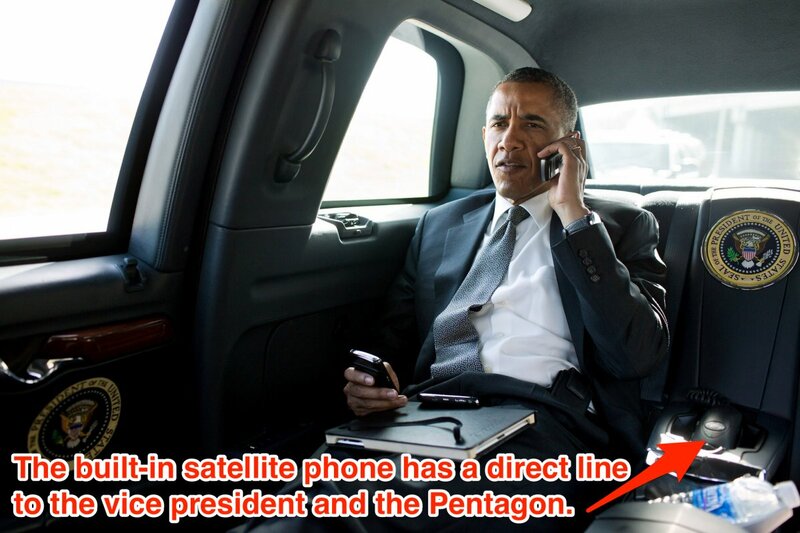 It’s the security features that Cadillac One has to offer our Commander in Chief that really set it apart. Recently, pictures were released of Cadillac One and all it had to offer. Keep in mind, this car is worth $1.5 million! Pictured above is Cadillac One, or as it’s called “The Beast.” That seems pretty fitting once you learn a little more about the President’s car and what it’s capable of withstanding. 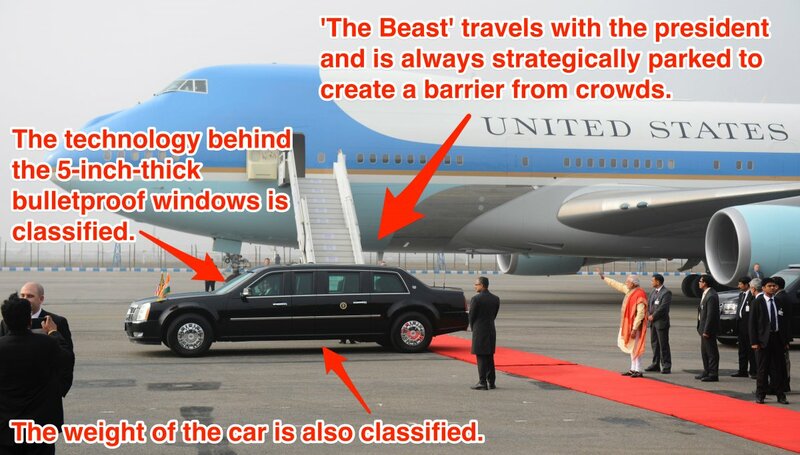 The Beast was designed by the Secret Service. 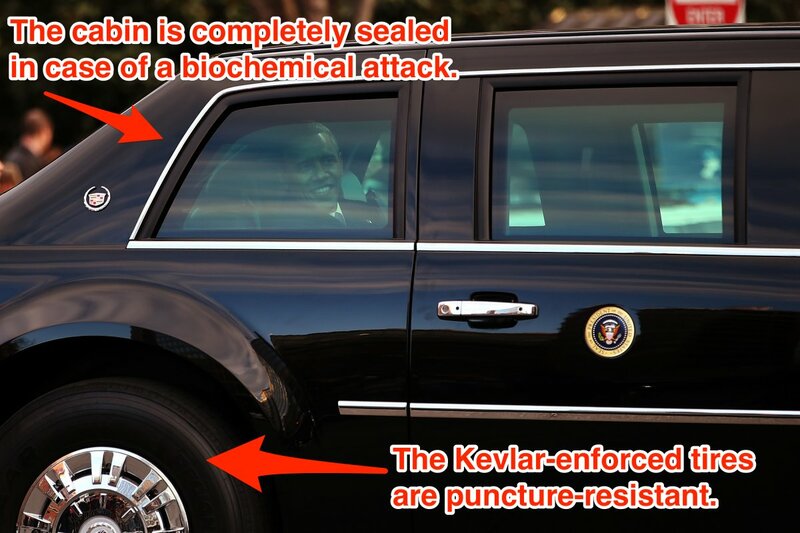 They made sure every square inch of this car is impenetrable especially when it comes to weapons. The President doesn’t just have one of these cars though, there are actually 12 that are in rotation. That way he can have one for everywhere he goes. 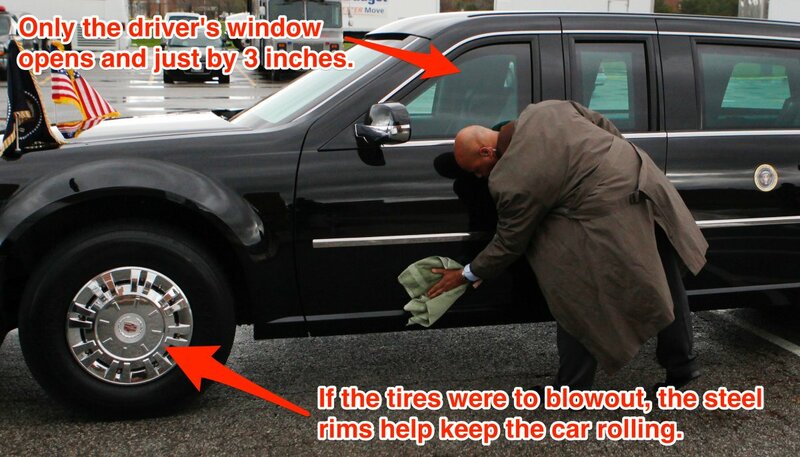 When not in use, the cars are stored at the Secret Service headquarters under 24-hour surveillance. 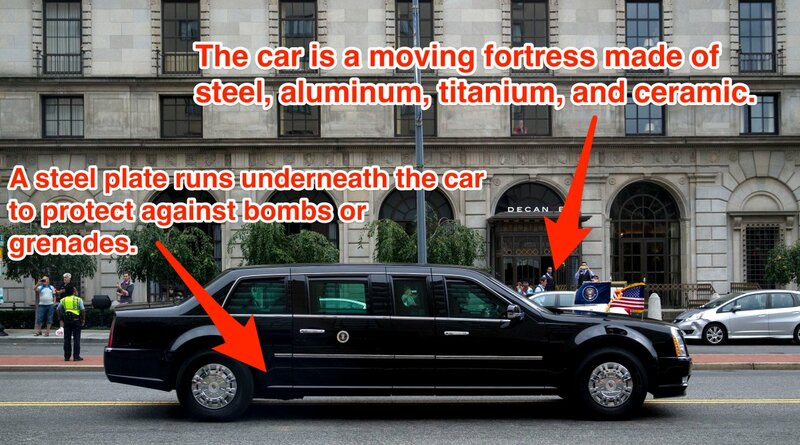 To ensure the safety of the president, The Beast travels with at least two other cars. You can tell that why they call it “The Beast”, but to keep up with its name, it gets a whole 3.7 miles to the gallon. Typically the presidential motorcade is surrounded with up to 45 armed vehicles, that includes being escorted by local police, an identical decoy for The Beast, a mobile communications center, and an ambulance. They really are prepared for anything that might happen. The car is a Cadillac, and it was manufactured by General Motors in Detroit, Michigan. It has a V-8 gasoline engine. The top speed and weight of this car is classified. Also classified is the technology they used for the 5 inch thick bulletproof windows.